Joyce Coffey of Epping, N.H., just didn't seem to get it -- or care -- when she was arrested four times in 26 hours earlier this week. The police run-ins stemmed from loud AC/DC and Guns N' Roses music police said could be heard blasting from her house as well as Coffey allegedly throwing a frying pan at her nephew. 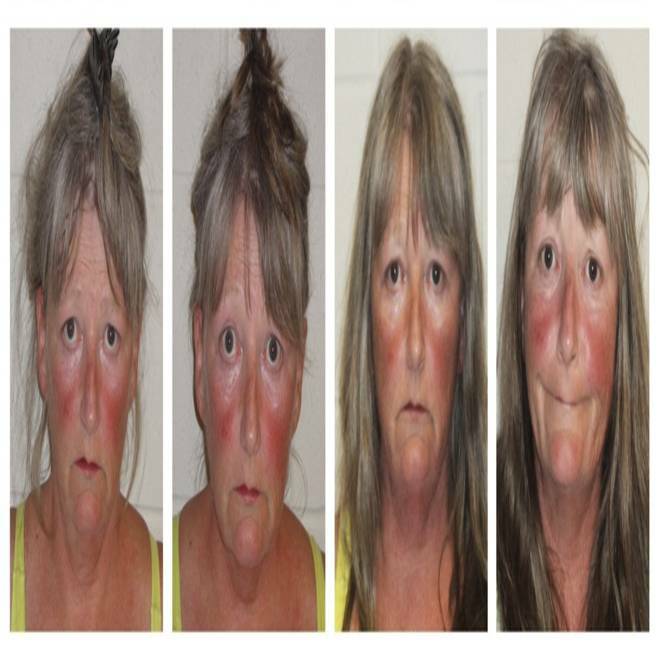 Coffey, 53, was released on $500 personal recognizance bail, the Manchester Union Leader reported, but police returned to her home about five hours later -- again because of a report about loud music. She was arrested a second time around 9:20 p.m.
Coffey was then released on $1,000 bail, but a mere four hours later, after yet another loud music complaint, the police returned at 1:10 a.m. Wednesday. She was at this point arrested for a third time -- and released a short time later on $10,000 bail. Police said they heard AC/DC's "Highway to Hell" as well as music by the group Guns N' Roses coming from Coffey's home during their first four visits, reported WMUR. She was arrested a fourth, and on Thursday a judge ordered her to undergo a mental health evaluation. If she completes the evaluation, the judge said, she will be released to home confinement with electronic monitoring. The judge also suggested that Coffey, who is due back in court on Oct. 15, use headphones to listen to music, WMUR reported.